Illustrated by Renee Graef, illustrator for the Kirsten books in the American Girl Collection and many of the books in the My First Little House series by Laura Ingalls Wilder. 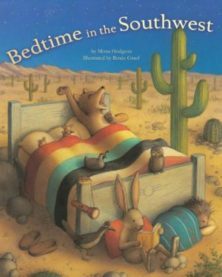 Check out the Bedtime in the Southwest Desert Critter Cast! Listed in the order they appear in the book!